I've been on the hunt for a new staple jewelry piece for a while now and when ChloBo kindly offered to send me on of their bracelets I jumped at the chance. Coinciding with my birthday, it's made a great birthday present. First off the packaging; it's to die for. If you're looking for a gift for someone this is perfectly packaged for just that. 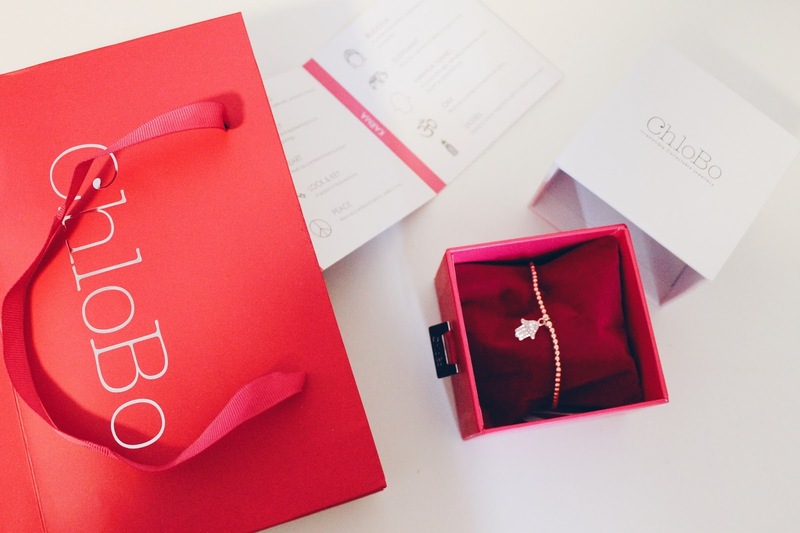 I adore the draw-style box that the bracelet comes it- you can see that ChloBo take extra care in making sure they offer a luxurious experience when buying their jewelry. You can feel the quality as soon as you touch it. Compared to similar but cheaper bracelets I have had in the past, this is one I can tell will last a long time and one I won't want to take off. The bracelet and the rose gold plated beads are super sturdy; it would take a lot to pull this bracelet apart. ChloBo kindly let me pick out my gift. 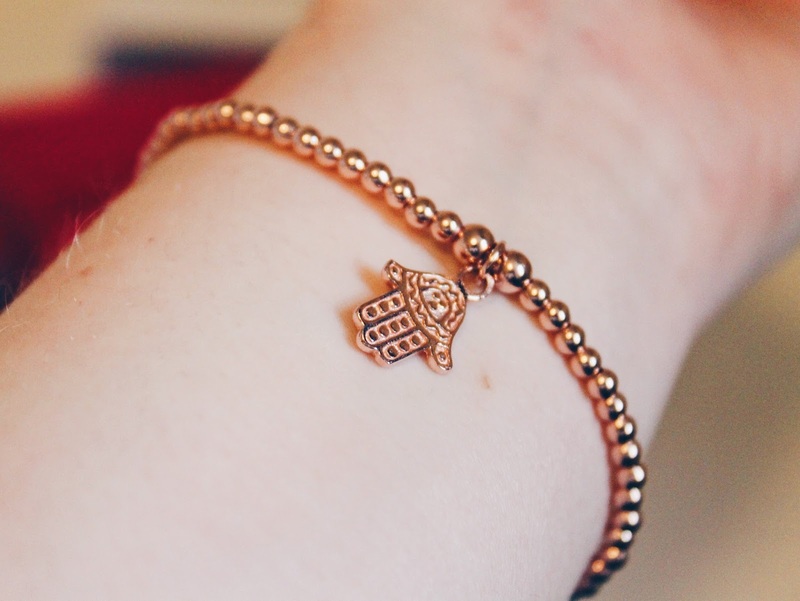 I finally decided on the Rose Gold Plated on 925 Sterling Silver Charm Decorate Hamsa Hand Bracelet ; I already own some earrings with this symbol on and the bracelet goes with them really well. 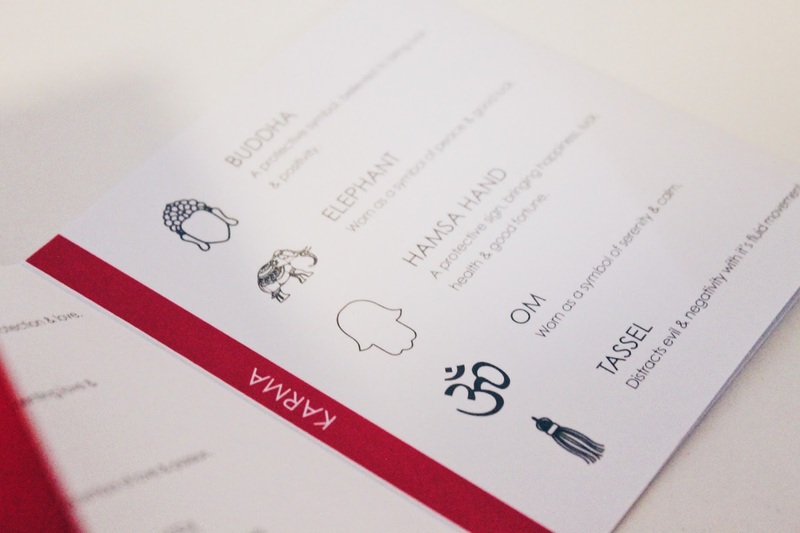 The bracelet came with a booklet which explained the meaning behind each of the symbols that are available on a bracelet on their website (You can see more here). Let's hope the hamsa hand brings me that good fortune and good health that the symbol is said to represent! What I love is that this bracelet goes with just about any outfit I through on. Because it's quite dainty, it adds just that little extra to an outfit whether it's my usual black jean, shirt, scarf and trainers or something more dressy for a night out or even going to the gym. It's a perfect piece for any occasion. Also, it's Rose Gold- need I say anymore!! The trend is taking over more and more and I'm perfectly happy with that- I hope rose gold never goes out of fashion and the sad day it does I think I'll still wear this bracelet as it's such a timeless piece that I think I will be wearing non-stop for the next year or so. It is on the pricey side (£90). However, I haven't taken it off since I received it and it's definitely a staple jewelry piece that will get its wear. You can also know that you're paying for a quality piece made well. Instead, of heading to pandora for Valentine's day for your partner, ChloBo offer some great unique pieces that give you a great alternative. You can really see the thought the company puts into delivering a well-rounded product- both in quality but also packaging. This has to be one of my favorite Birthday presents from my 19th so thank you ChloBo!